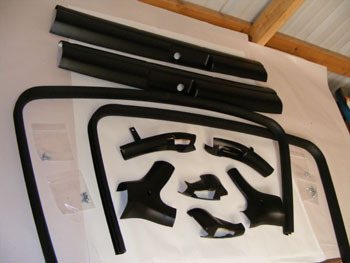 This is a complete interior t-top trim set for 1978 1979 1980 1981 Camaro and Trans Am with Fisher T-tops. 2 NEW Reproduction rear end caps. 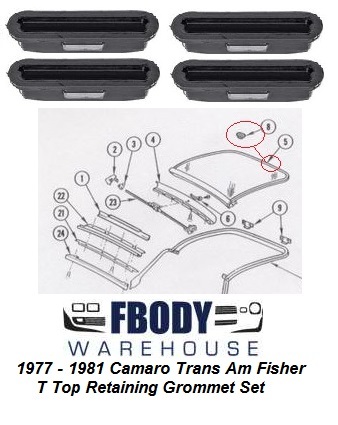 This is a great package for all fisher t top cars. Dump that chalky broken trim and get a fresh new set to complete your restoration.